NEED A SOURCE FOR MONTHLY COMICS? 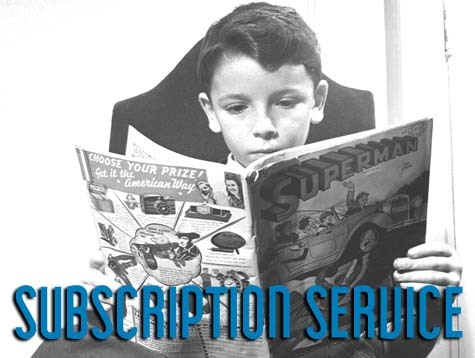 The Atlas sub service is FREE for as little as one title per month. If you take 20 or more titles a month we offer 10% off the cover price of every new comic you buy. Visit Atlas to get started! Getting rid of your collection? Found old comics or comic art? Call us! Have movie memorabilia? 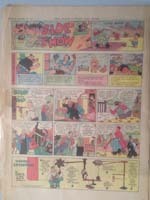 Old comic strips before 1960? We buy! 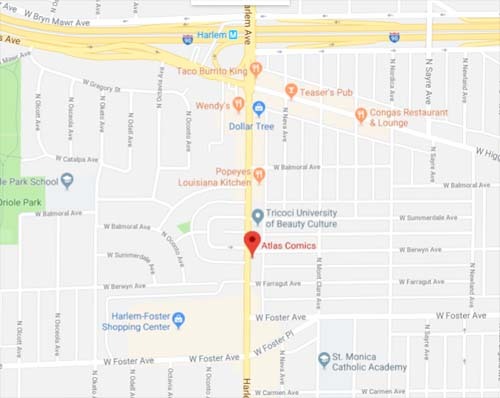 Atlas Comics is located at 5251c N. Harlem Ave, less than a mile south of the Kennedy Expressway on Chicago's northwest side, and just a 5 minute walk from the Harlem Avenue CTA blue line stop. From O'Hare airport you can be here in 15 minutes by car and 20 minutes on the blue line. More questions? Call us! There is free two-hour parking on the east side of Harlem and on the side streets to our north and south.